Showing results for tags 'xv-01'. I bought a used xv-01 and am in the process of upgrading it. I bought cvd's but after I installed the left one the axle ring touches the caster, and it does not spin smoothly. It is such a tight fit! Picture Maybe the caster is damaged? Does anyone have the same experience? Hi everyone. After years of rather enviously looking at the big Tamiya boxes in the hobby shop I've decided to take the plunge. What I'd like is a good basic 190mm rally setup to be able to traverse the woods and pathways around where I live. Just trying to figure out what's the best entry point from what I've learnt through reading this forum and others, which is: XV-01 is probably the best chassis/package. It can easily be upgraded with longer shocks for more travel/clearance BUT doing this then limits the choice of bodies to boxy things like the Impreza hatchback, Evo X and Integrale to fit the longer suspension inside. DF-03 is better than a converted touring car chassis like a TT for rallying but seems out of favour compared with XV-01. Not sure how it compares on ground clearance or what options there are to spring it best for where I want to take it M-06 just looks like fun, and the build of the Alpine A110 that I saw using CVA Mini shocks to increase clearance and travel, plus fitting rally block tyres, looks brilliant. Just not sure how deep in the forest she'll get! At the moment I've got three options that I've focused on and would like to see what you guys think. Option 1) Blow the cash and get an XV-01 with longer shocks plus an aftermarket body like a Skoda Fabia S2000. Even with the basic 'retailer's bundle' electronics that's close to £400, which is an interesting prospect... but if you're gonna be a bear, you'd better be a grizzly Option 2) Go for a DF-03 with a Lancer Evo V body, my all-time favourite rally car, and find out what the best options on shocks are Option 3) Build a little Alpine or Beetle with CVA Mini shocks and rally block tyres, accepting that it will probably get stuck more often but, awww, it looks cute Given all that, may I ask you experts whether you think I've understood things correctly and which of my three options you like? Also, given that I'm not competing or anything, can I get away with the sort of servos and electronics that are on offer from most retailers' set menus or is it toy-grade stuff? Many, many thanks in advance for your thoughts. I shall try to be a bit less of an irritating newbie ASAP! 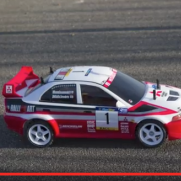 Recommended motor and ESC for Tamiya XV-01 pro? Gents- I am planning on getting the XV-01 Pro chassis, and wondered about the necessity of the slipper clutch upgrade...seems to me the belt drive would be more forgiving than a shaft in general, decreasing the need for a slipper outside of really extreme scenarios. I plan to run mine on a "mild" brushless setup (3300kv or so Trackstar or Tacon), mixed on-road and rally-type offroad use with minimal large jumps. I have the slipper in my similarly set-up/powered DF-03ra, and I think it may be more trouble than it's worth there for my standard uses. Thanks in advance for your input.